I Got To Be There! 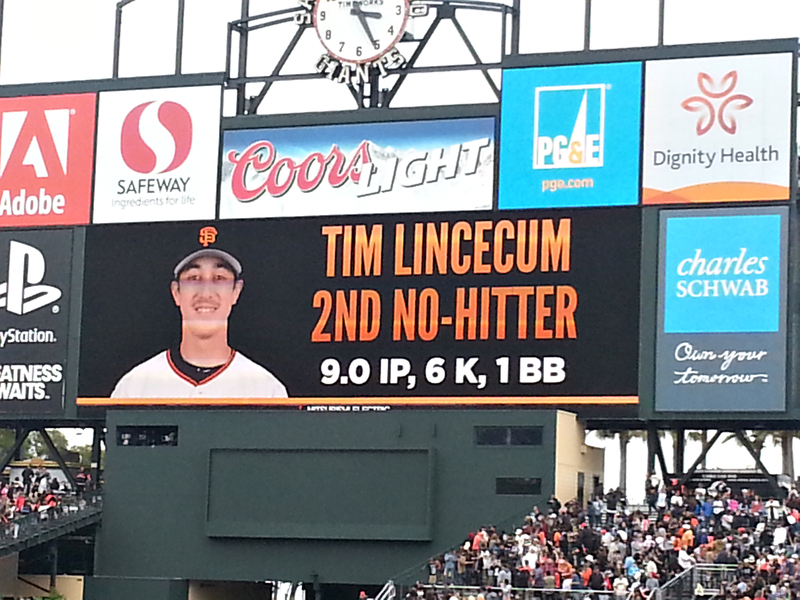 Yes… I got to be at the Giants game yesterday to watch Timmy pitch a No Hitter! I think it was around the 6th inning when Char leaned over and nervously told me that this was a possibility. Why nervously? Superstition of course. When a pitcher is on the verge of pitching a No Hitter or a Perfect Game… YOU DO NOT TALK ABOUT IT because you don’t want to jinx it. If you were listening to the game on the radio or watching it on TV, I’m sure the announcers did not mention it until it actually happened. So after we knew we might be seeing something great, we held our breath on every pitch… which made that final out so much more exciting. I went with Terri, Char and Allison from work. The tickets were Secretaries Day/Retirement gift from Terri. Allison had never been to a Giants game, and really never watches baseball. I think she just might have been the good luck charm! Thank you Terri (and Timmy) for a great day!! The scoreboard after the final out! Yes, of course I was just yanking their chain! 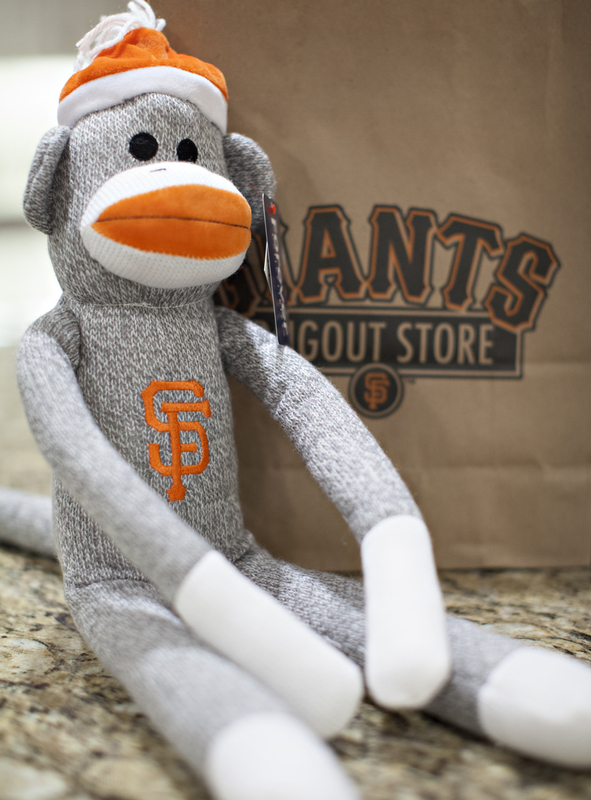 On the way out I couldn’t resist buying this rally monkey for Baby Holm. Wish I could say I ordered up that no hitter for your retirement! It was a great time with good friends! !